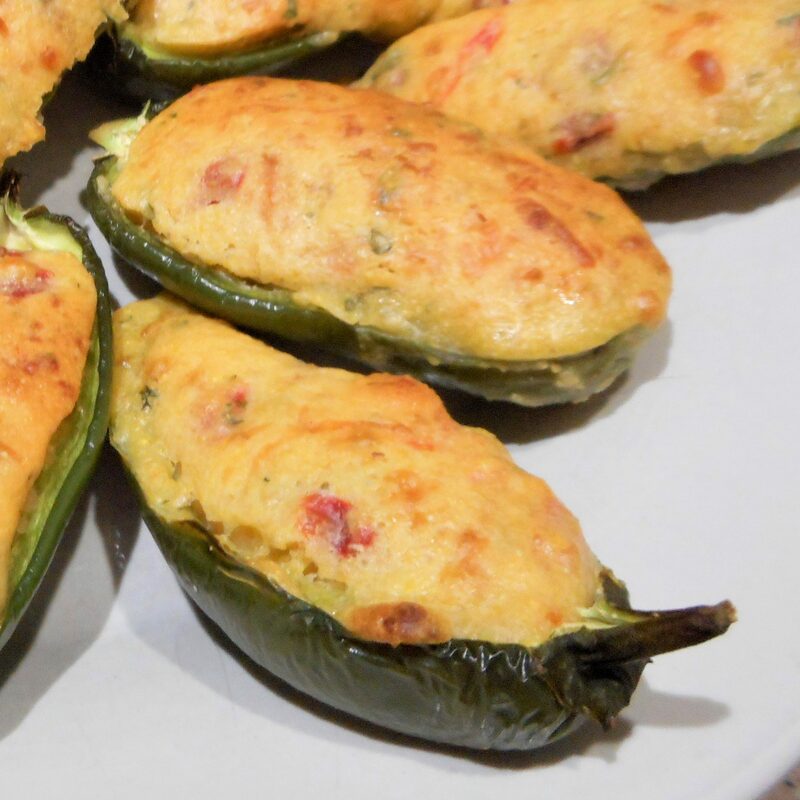 You’ll want to use the largest Jalapenos you can find for this recipe. If you run out of peppers before you run out of stuffing, just bake the cornbread in a greased ramekin or two. 1. Preheat oven to 400°. Line a large baking sheet with aluminum foil. 2. Prepare the corn muffin mix according to package directions, adding cheese, pimentos and cilantro when you add other ingredients. Set aside. 3. Cut the jalapenos in half, lengthwise, leaving the stem intact but cutting out the seed core. Arrange the poblano pepper halves on the prepared baking sheet and fill each pepper with an equal amount of corn muffin mix. I usually trim off a bit of the stems and use these pieces to prop up and level the jalapeno halves on the baking sheet. 4. Bake 18 to 20 minutes, until golden and cooked through. Serve with sour cream if desired.